Photograph of plaque dedicated to G.M. Hopkins. R.V. Schoder, “G.M. 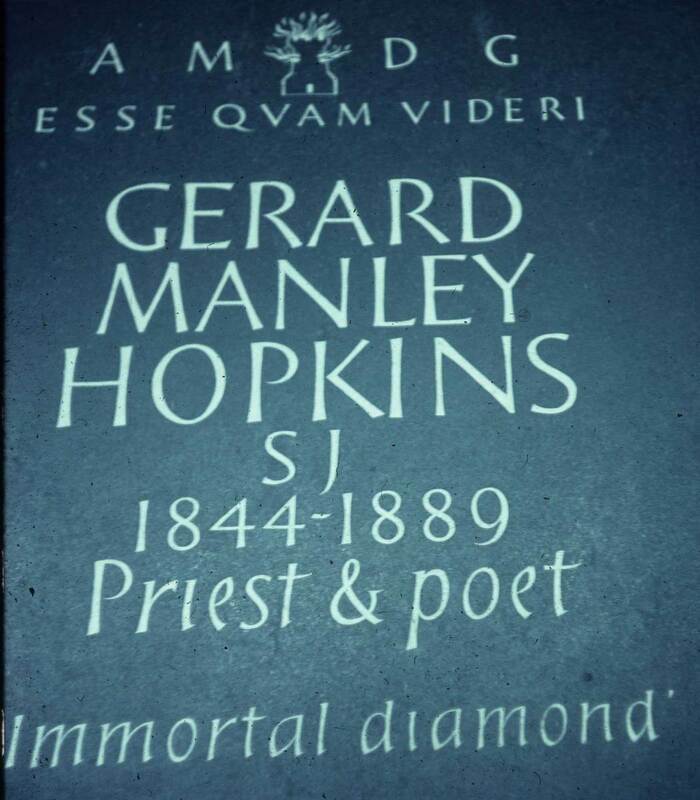 Hopkins Plaque in Poet's Abbey, Westminster Abbey,” Loyola University Chicago Digital Special Collections, accessed April 26, 2019, http://specialcollections.luc.edu/items/show/572.